A stray dog singing a sorrowful version of Gloria Gaynor's 'I Will Survive' features in the latest TV and online ad for the Blue Cross animal charity. "I will survive" is the first ad Blue Cross has produced since it appointed M&C Saatchi to its integrated ad account in 2013. The spot opens on a soaking wet dog called Baxter, walking the night-time streets of London and looking wistfully through windows at more fortunate dogs sitting in comfort with their owners. 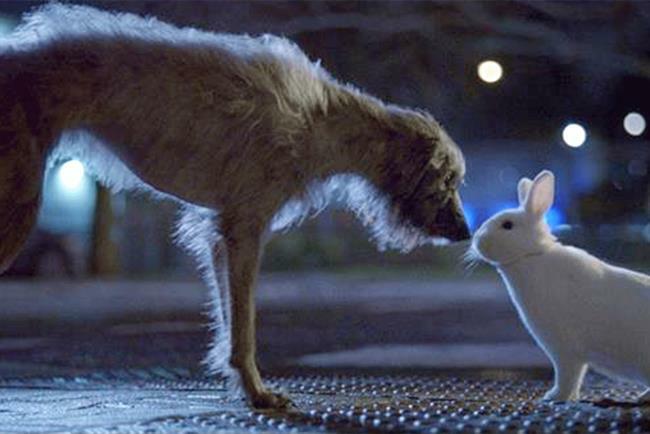 While appearing to sing I Will Survive, the dog encounters a rabbit on an empty street, which turns out to be the first of many friendships he makes throughout the night with other stray animals looking for companionship. The ad culminates with a swarm of animals joining the dog, who eventually finds a new family in a suburban household, where he is greeted by a beaming young girl. The ad was created by Dip Mistry, Rob Graves-Morris, Orlando Warner, and Joe Miller at M&C Saatchi. It was directed by Dom Hawsley and Nic Goffey out of Outsider. The ad will appear in print, online and TV.